What a fantastic Fourth of July! My entire extended family congregated on the beach for the holiday and had an absolute blast. The Chmielewskis are certainly a wild bunch. There are 14 cousins in all and as the oldest I’ve watched them grow from babies to young adults. They are the best. Before the beach, Carina and I dominated Fitnessista’s Summer Shape-Up Workout #4. Carina did 2 rounds while I did 3. It was tough. And we were sweaty. At about 2:30pm we finally loaded up the boat and drove out to the beach. At the beach, we immediately packed the boat with family members and took turns tubing out in the rough waters. 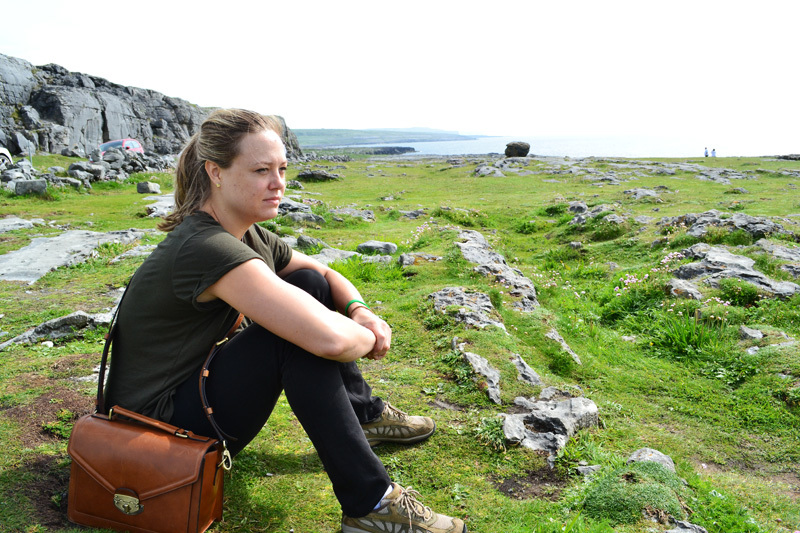 Just imagine children flying and tumbling around the ocean, hanging on for dear life. Carina and I went once and completely killed our biceps. Maybe working out before was a bad idea…. Between hours of fun in the sun swimming and chasing kids, we devoured two big meals and waited for the sun to set. At 9pm, we headed to the beach for the show. 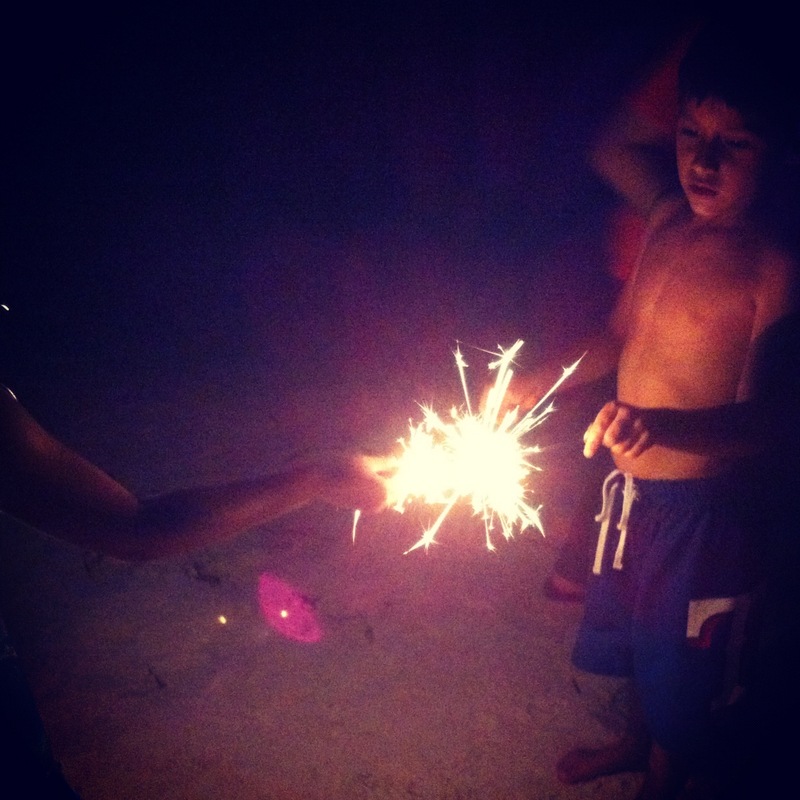 While fireworks exploded down the entire stretch of St. Pete beach, our small army of children played with sparklers. 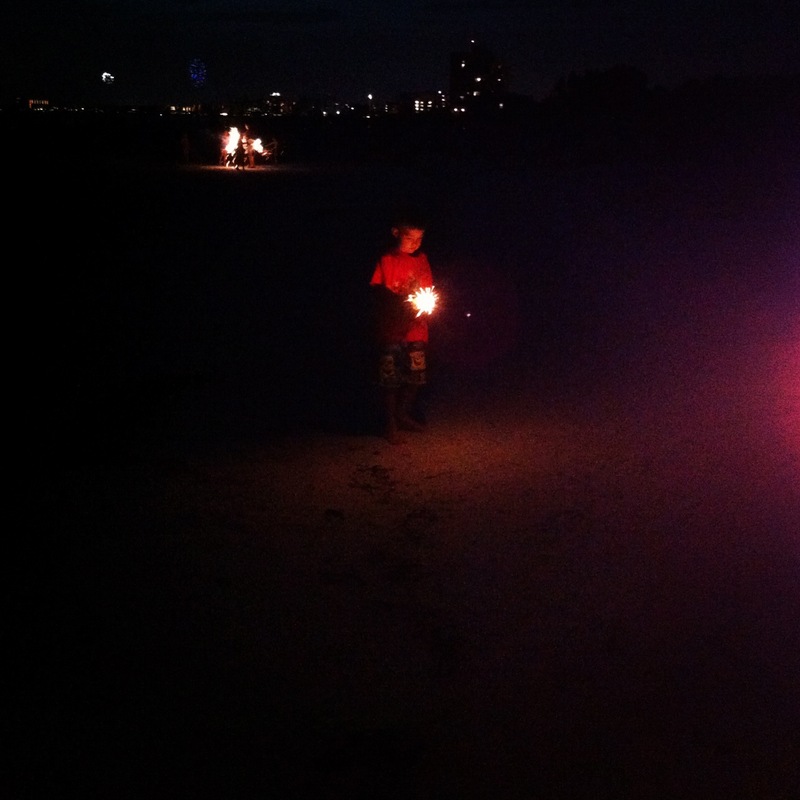 The whole beach was lit up with public and private fireworks which made for an incredible display. It was nothing like I’d ever seen before. 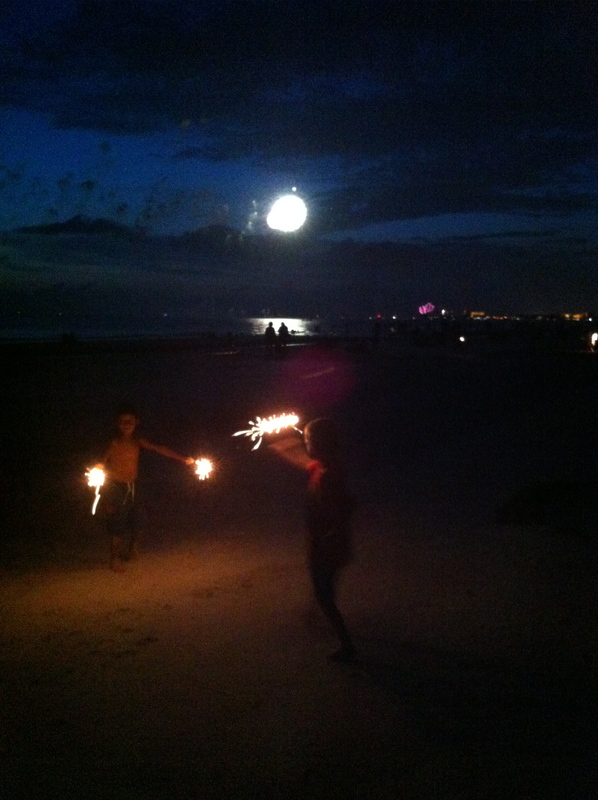 Of course my little cousins were too enamored with the sparklers to notice the display in the sky. It was a beautiful night. We never wanted to leave! After an hour and half of chatting, playing, and celebrating, my family finally deserted the beach. 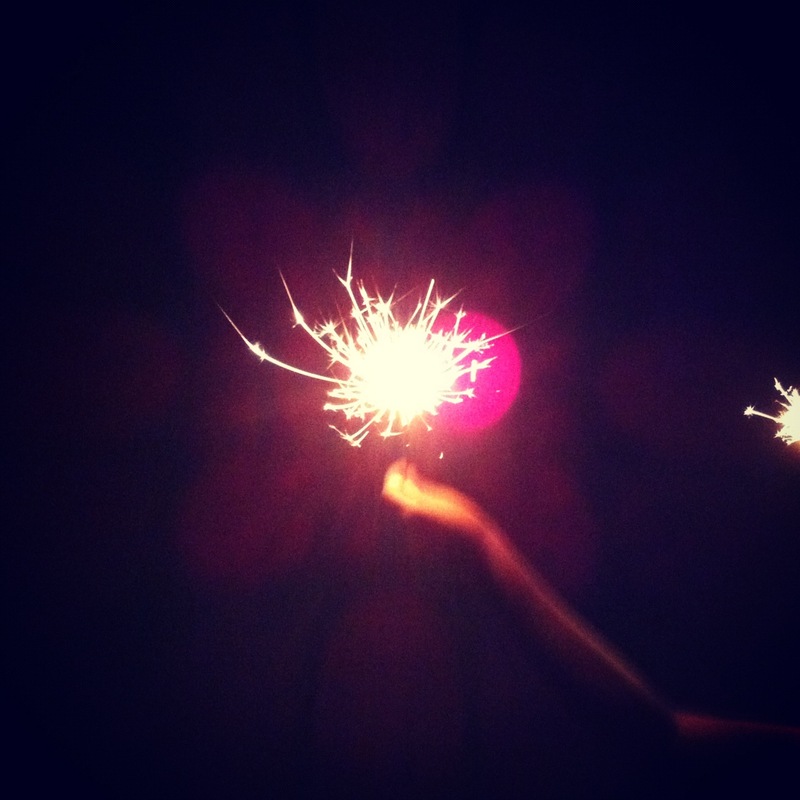 With dream of fireworks dancing in their heads. Believe me, we would return.